It’s the affectionately-named neighbourhood bistro that’s won the hearts of the region’s foodie fanatics (and the compliments of one of the country’s big-name critics) for its remarkably simple – and yet sublime – plates of food. The kind of gratifying, seductive grub that stays with you for days on end. After only a year in business, it appears one thing’s for sure; the future’s looking rather tasty for The Patricia and the man behind its teeny-tiny kitchen, Nick Grieves. 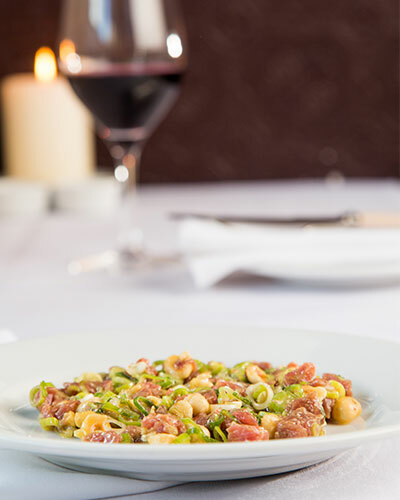 Well settled on the leafy outskirts of Jesmond, the restaurant is fully-booked most evenings and weekends, comfortably crammed with hungry diners and wine-lovers, all looking to sample the delights from Nick’s ever-evolving, ever-mouthwatering menus. Getting to this point, I discover, has been quite the journey for the self-taught chef. Though a food-fan since day dot, it turns out, the 33-year-old never intended on confiting mutton and steaming mussels for a living. “I actually wanted to work in construction, can you believe that?” he laughs. “I did a construction project management course at Northumbria University, among many others, and, a few years later, even started my own business. But it just wasn’t meant to be. The foursome took over the reigns at Durham’s Garden House Inn – which still remains one of the city’s most-loved pubs – with the view that they would run it as joint managers from behind-the-scenes. he tells me. But we soon found ourselves short on chefs, so I stepped in to help one afternoon – and completely fell in love with it. It was a job-swap that’d change his life forever. 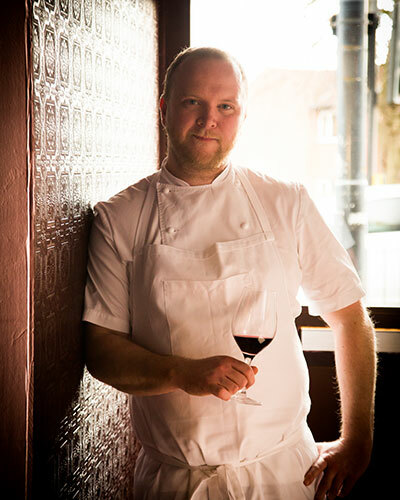 An intense love affair with cooking quickly blossomed – (“if I wasn’t making food, I was either eating it, reading about it or watching it being made on YouTube.”) – and he and his father, would spend the next four years putting The Garden House on the map as one of the North East’s most sought-after pubs, until Nick decided it was time to cut the apron strings. Setting his sights on the more refined kitchens of the Big Smoke, Nick, along with his long-term girlfriend, Sophie, made the bold move to London in 2015, where the chef soon found himself plating up the Michelin way at two of the capital’s most reputable restaurants: Fera at Claridge’s, formerly led by revered UK chef, Simon Rogan, and iconic Italian restaurant, The River Café. “But I learned so much at both restaurants – things that I’ve carried with me throughout my career. The food at Fera was so intricate and stylised – real ‘fine dining’ stuff. You don’t leave a place like that without knowing a thing or two about technique and presentation. And so he did, but not before what would be a life-changing telephone call from his treasured grandmother, Patricia. “She lives in Wiltshire so we didn’t see her a lot growing up, but when we did, she was always cooking. I remember her making scones in her kitchen. A lot of my earliest, fondest food memories are tied to her. “Anyway, I called her while having a pint after work one night, telling her how much I wanted to come back home, but that I didn’t have a lot of money. Living in London was, and is, so expensive and I only had so much left from selling The Garden House. It was the kick-start Nick needed. After moving back to Durham, where he grew up, and a few months spent searching for the perfect plot, he discovered the site where The Patricia – named after, and in tribute to, the woman who granted him his golden ticket home and a new start as a chef-proprietor, now lies – and set up shop in the spring of last year. It’s an unassuming spot – blink and you might miss it – but it’s exactly what Nick had envisioned for his first solo foodie venture. “I could never have opened a big restaurant in the city centre – it had to be in a neighbourhood,” he says. “My vision was to open a small, no-frills bistro. In my mind, somewhere locals could walk to, all wrapped up, from the comfort of their own homes if and when they didn’t fancy cooking. “I imagined them opening the door to somewhere relaxed and warm, where they could enjoy a good glass of wine, eat simple, honest food, and unwind, before walking back home feeling full and, in a way, comforted. It appears Nick has very much brought that vision to life. Residents love the place; for many, the bistro has become their go-to for Saturday night, carb-fuelled feasts, Sunday roasts of towering Yorkshire puds and sensational slabs of meat and fish, and celebratory suppers. “I’d like to think I’ve created a place in which families, couples and friends can get together and enjoy themselves,” says Nick. Regardless of when or why, eating here, as I discover, is nothing but a joy. 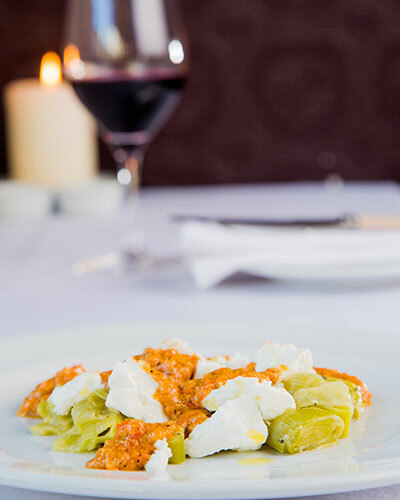 Not least because of the spreads on offer – all of which show off Nick’s talents when it comes to menu-writing, championing only the best seasonal ingredients and changing regularly to keep diners on their toes. “Our menus change with the weather,” he enthuses. 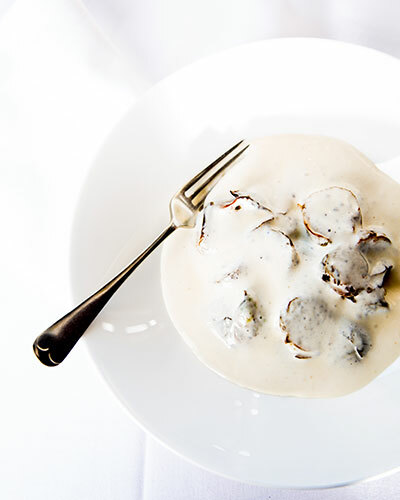 “A lot of places will say they cook seasonally – but to them, that means four times a year. That isn’t how we work here. Alongside Cornish cod are dishes that inspire, please the palette and warm the heart – each one an example of some of Nick’s most-loved ingredients. Things like brussels sprouts, smothered in velvety parmesan sauce with sticky onion jam, and sweet-and-stinky Époisses de Bourgogne cheese and preserved cherry sandwiches, along with heartier plates influenced by his travels. The “Frankie Spuntinos” meatballs, the size of golfballs, served in a rich bath of slow-cooked tomato sauce, are a total triumph – inspired by the kind he once stumbled across at a tiny Italian-American bistro in New York. Desserts are an even more relaxed affair; think fudgey homemade chocolate mousse, as thick and indulgent as ganache, and crumbly slices of pear and almond tart. 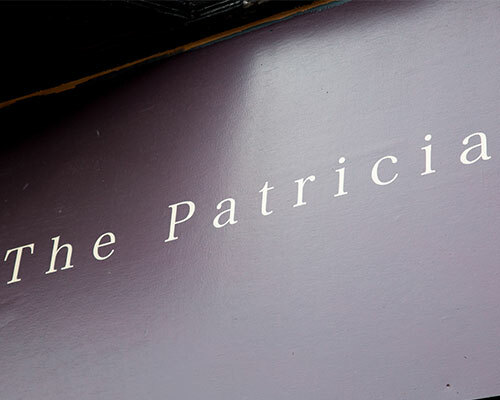 The Patricia is one of the few venues in the area to specialise in ‘natural’ wines – vino that’s been farmed organically, usually, and made without adding or removing anything during the wine-making process. 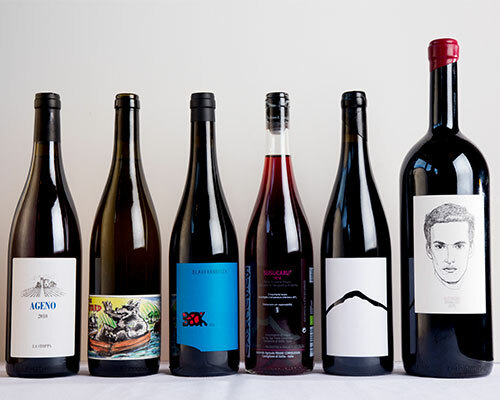 “We have around 100 bottles on our wine list at the moment – and most are ‘natural’ or biodynamic,” says Nick. “I first came across the concept in London – a few of my favourite restaurants were serving the same kind of stuff. Another person who shares this opinion is critic Marina O’Loughlin who anonymously visited The Patricia during a trip to the North East, from London for The Guardian. 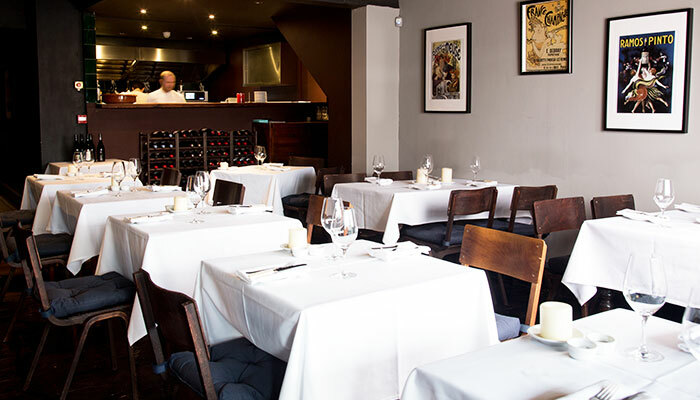 The “little belter” of a bistro (as O’Loughlin puts it), which had only been open two weeks, was granted a glowing review, in which Nick receives top marks for his menus. “The review was a real turning point for us,” Nick recalls. “It just felt like we’d won the lottery. We were completely floored – we had no idea she’d been in.